The Babcock Law Firm is proud to announce that our very own Mack Babcock has been named to the Colorado Super Lawyers list for 2019. This is Mack Babcock’s first year to be featured on this prestigious list. Previously, Babcock had been selected for the Rising Star list from Super Lawyers, which provides similar recognition to high achieving lawyers under the age of 40. Super Lawyers is a third-party rating system that selects lawyers across various areas of the field who have achieved a higher level of professional achievement. 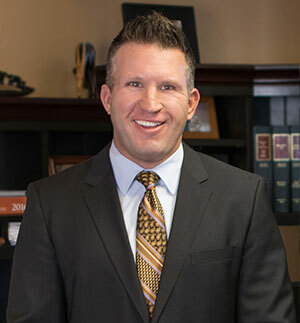 As a Super Lawyer, Babcock is considered one of the best attorneys in the state of Colorado. He will be included on Super Lawyer’s “Best of the Best List” in upcoming 2019 publications. Babcock received his distinction from Super Lawyers for excellence in Workers’ Compensation law practice. If you or a loved one is in need of help with workers’ compensation benefits, contact the Babcock Law Firm today for a free consultation.